In the Soviet Union, world-class athletes were trained and drilled relentlessly to best opponents from Western democracies on the field of play and to therefore demonstrate the superiority of the Soviet system and way of life to decadent capitalism. These practices resulted in dominant teams headed by generational players that dominated international competitions with a fluid and skilled style of play. But behind the scenes, the sporting heroes on these teams were controlled tightly by state agents, bullied and mistreated by their imperious coach, and even under glasnost and perestroika in the late stage of the U.S.S.R. under Mikhail Gorbachev were threatened with reprisals once they departed their state-controlled Russian teams for the professional leagues in North America. Gabe Polsky’s Red Army tells this story of Soviet sport in the context of ice hockey and particularly through the perspective of legendary defenseman Slava Fetisov, but it’s very similar to the much richer version of the same narrative related in The Other Dream Team, a superb 2012 documentary on the Lithuanian national basketball team’s emergence from behind the Iron Curtain after serving as the Soviet national team through the 1980s. Considering hockey’s much greater importance in Russia in relation to basketball, Red Army ought to be the better story in this particular vein. But perhaps due to its importance, and/or to the integration of its subject with the Soviet-revivalist government of Vladimir Putin (Fetisov is now his Minister of Sport), it’s oddly less compelling. Fetisov is at the core of Red Army, and though his English is essentially fluent, he proves to be at once reticent and unreflective on his days as a key member of the remarkable Red Army hockey club which amazed international competitors and spectators through the 1970s and 1980s. His memory has not faded, and he and other appearing interviewees (including his teammates Alexei Karpovtsev, Vladislav Tretiak, and Vladimir Krutov) provide Polsky with enough narration to move the film forward. But Fetisov possesses the bluntness of a hockey player (who surely have the most neutered imaginations and most cliched utterances in the whole constellation of jocks) combined with the secretive caution of a political figure in a dangerous, corrupt, and distrustful regime where reprisals are not uncommon (I speak of Putin’s Russia, not that of the Soviets, although living in one would serve to prepare you for the other). Polsky chooses to include this aspect of Fetisov’s nature in Red Army, editing in footage of his subject staring intently at his smartphone while Polsky asks him questions, which he then brushes off casually. Polsky himself doesn’t come across as a terribly insightful or penetrating interviewer in the snatches of his questions that are heard, although he must have been to obtain the information necessary to craft the film, which is reasonably well-made and has the backing of heavyweights Jerry Weintraub and Werner Herzog as producers. Polsky proves adept at culling archival footage, however, intercutting classic game footage of Fetisov and his teammates with Red Army and later the Stanley Cup champion Detroit Red Wings (he did finally make his way to the NHL, although much of his salary went back to the coffers of the Politburo in Moscow) with Soviet propaganda broadcasts, Don Cherry trashing Russian players, current Russian superstar Alexander Ovechkin shooting pucks at Russian nesting dolls filled with Russian salad dressing, and a young William Shatner dancing through the aisles of a Canadian supermarket ad. Red Army is not a poor documentary by any means, but it isn’t one of the best you’ll ever see either, with apologies to The Hollywood Reporter‘s Scott Feinberg. As a document of life under the yoke of communism and how the triumph of national sports played into it (circuses rather than bread, etc. ), it leaves much to be desired. The film has a better mind for the differences between the style, tactics, and culture around hockey in Russia as opposed to North America’s smash-mouth version than it does for wider cultural or societal divergences. But Slava Fetisov’s ingrained reluctance to indulge in much glasnost with regard to the Soviet system’s deeper character, as opposed to the interpersonal meanness of longtime Red Army head coach (and KGB flunky) Viktor Tikhonov, transfers to Polsky’s film. If Fetisov reserves judgement on the nature of life in the Soviet Union (possibly for political reasons), then Polsky politely echoes that tendency. But also like Fetisov, Red Army straddles a fine line between nostalgic appreciation for the hyper-skilled, aesthetically remarkable hermetic hockey of the Soviets and an appreciation of the authoritarian iron fist that lurked behind it. Like an expert high-altitude mountaineer, Everest is lean and fit, methodical and well-prepared, capable and no-nonsense. 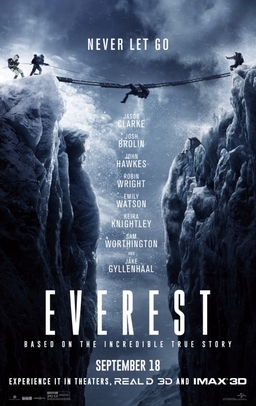 The film depicts (a particular version of) the 1996 Mount Everest disaster and renders its setting and its tragic based-on-true-life events in the high Himalayas with accuracy and fidelity (although that is not beyond dispute) as well as with real emotion, but does not become bogged down in or clouded by sentimentality (except, maybe, for one brief moment). It employs the full technological toolset of contemporary big-budget filmmaking to craft a convincing portrayal of the terrible and imposing scope of the world’s highest mountain. But Everest is above all an intensely human-focused drama which never sways from its emphasis on our frailty and our strength in the face of the natural world’s mortal dangers. Everest was directed by Icelandic filmmaker Baltasar Kormákur, who has helmed several American English-language studio action thrillers of little or no consequence (mostly starring Mark Wahlberg, which testifies to the “no consequence” assessment), as well similarly-pitched films in his native country and language. If this resume attests to a certain lack of stylistic distinction, then it has at least honed his skill and technique in the interest of crafting the kind of screen narrative of direct effectiveness that Everest demands. If Kormákur does not precisely practice a Paul Greengass shaky-cam cinema-verité level of “you are there” realism (he can’t resist indulging in more than a few sweeping helicopter shots of high-altitude mountainous ridges, nor should he), his film displays nary an inkling towards stylization or abstraction. This realist approach is almost certainly as it should be, given the material (can you imagine, say, a David Lynch dreamscape mountaineering movie?). For those unfamiliar with the events that led to the deaths of eight climbers on Mount Everest in May 1996… well, I won’t be telling you about them in great detail, but Everest (the screenplay is by William Nicholson and Simon Beaufoy) does solid work establishing the key players, the location, the conditions, the obstacles, and the steady, inexorable drip of problems, mistakes, and unforeseen eventualities that paved the path to one of the worst (though far from the only) multiple-fatality climbing seasons in Everest’s history. Everest focuses on Rob Hall (Jason Clarke), a New Zealander who pioneered guided climbs of Everest for paying clients, thus allowing non-expert alpinists to stand on the roof of the world (for a hefty fee). He leaves his pregnant wife Jan (Keira Knightley) at home and jets to Nepal to lead his latest expedition of customers up the mountain. The key climbers among his clients are outspoken Texan Beck Weathers (Josh Brolin), humble mailman Doug Hansen (John Hawkes), Japanese woman Yasuko Namba (Naoko Mori), and journalist Jon Krakauer (Michael Kelly), whose bestselling book on the events on Everest that spring, Into Thin Air, is the best-known (but maybe not the best) account of the disaster (Krakauer was fiercely critical of the film’s portrayal of events and of his role in them in particular, although the screenwriters had access to sources on the events that he did not). Also ascending are Hall’s friend and rival summit group leader Scott Fischer (Jake Gyllenhaal) and Fischer’s top guide, Anatoli Boukreev (Icelandic actor Ingvar Eggert Sigurðsson), and many other guides, sherpas, and paying customers who play more minor roles in the drama on the mountain. Kormákur builds towards the eventual attempt on Everest with a conventionally effective sense of tension and foreshadowing, holding off on a glimpse of the peak like it’s the shark in Jaws. The screenplay sprinkles potential pitfalls like a crumbtrail of impending doom as the climbers approach the summit: a crowded Base Camp portending a bottlenecked ascent, fixed ropes that haven’t been fixed, cached oxygen tanks that haven’t been cached, and a distant storm tracking ever closer to the mountain. Everest unspools reams of mountaineering jargon, a world’s worth of immersive terms that never overwhelms a viewer but sinks them instead into the immersive milieu of the Himalayas. As the situation in the “death zone” (basically anywhere above 8,000 metres, where there is too little oxygen to support human life) unravels into a confused white-out slow-motion catastrophe, Hall’s Adventure Consultants team in Base Camp proves invaluable as a central fulcrum for Everest‘s steadily devastating narrative and emotional swirl. Sam Worthington’s stoic Guy Cotter and Elizabeth Debicki’s ashen Dr. Caroline Mackenzie process the unfolding tragedy in their own ways, but the unquestioned core is Emily Watson’s camp den mother Helen Wilton. Watson might be the most compelling crier in the past quarter-century of cinema, which sounds like backhanded praise but I can assure you is not, and she is used to full effect by Kormákur’s fixed gaze. Knightley could use some of Watson’s sublime conviction, saddled as she is with Jan’s (accurate enough) role of loitering on beds and couches back home and talking tearfully on the phone to her terribly endangered husband. Hall’s fate is at the centre of Everest, but the sub-fates of Fischer, Namba, and especially Hansen and Weathers branch off in the text as sketches of sadness, painful irony, and dogged survivalism. Although it finds hints of sunshine in the blizzard of death, this is not a film of moral lessons or grand metaphors, be they challenging or comforting. Victims of Mount Everest slip silently to their ends or are frozen like stone statues on the unforgiving slopes, and Sagarmatha endures as a simultaneous magnificent dare and dire warning. If Everest treats a tragic loss of life that need not have happened with requisite gravity, then it also does not pretend that this loss of life had a deeper meaning. It’s a document suffused with necessary sadness, but it’s entirely too sober to become an elegy. Perhaps climbing Mount Everest doesn’t have to mean anything. The climbers discuss their motivations for tackling the world’s highest peak shortly before setting off for the summit, but not before intoning George Mallory’s famous explanation of the quest that would claim his life: “Because it’s there.” But Mount Everest is always there, and those who attempt to conquer it can claim no such certain permanence, especially in the face of its lethal challenges. Mallory’s arrogant quip is celebrated as the great epigram of alpinism but its glib directness divests the herculean odyssey to the roof of the world of its symbolic significance. Everest is a film crafted in the spirit of those words: tactile, tangible, concrete, like the great mountain itself. It’s a strong film, in both senses of the word, and it trudges with dogged determination to surprising heights. Last Friday night, November 13th, 2015, in Paris, France’s capital and cultural jewel, an evening of leisure and entertainment was shattered by vicious, politically-motivated violence. 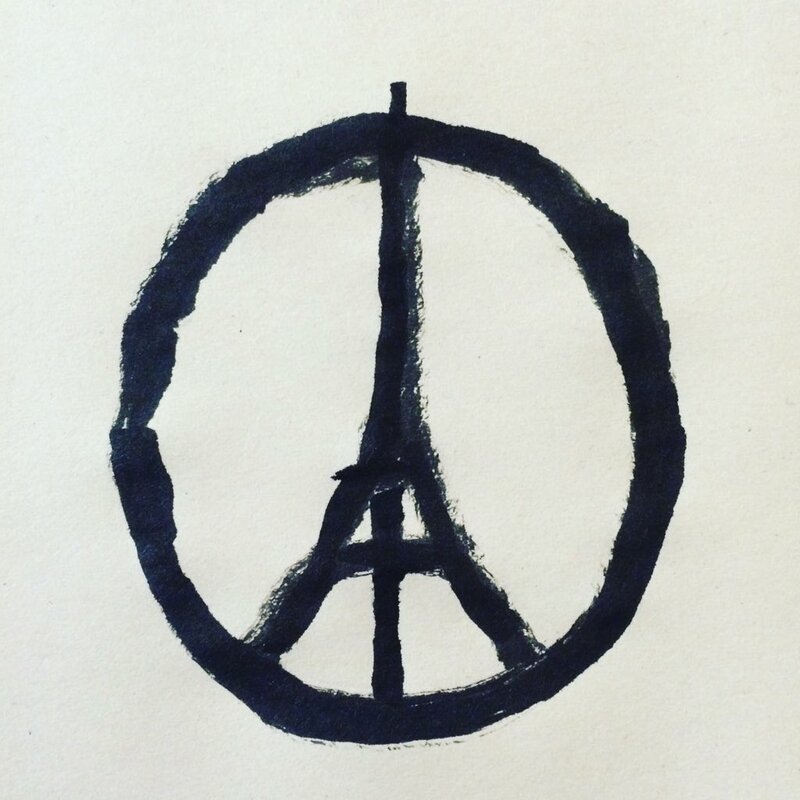 129 people were killed in a coordinated series of terrorist assaults inside and in the vicinity of the Bataclan Theatre in the 11e arrondissement, which hosted an Eagles of Death Metal concert, and in the suburb of Saint-Denis, where the French and German national football teams played a friendly match at the Stade de France. Responsibility for the terror was attributed to and soon claimed by the group variantly known as the Islamic State of Iraq and the Levant, the Islamic State in Syria, and Daesh, but most popularly known as ISIS, and a series of raids by French police operating under a national state of emergency led to most surviving suspected planners of and accomplices in the crimes, including Belgian mastermind Abdelhamid Abaaoud, being apprehended or killed. I have written before about the violent extremist ideology of the Islamic State, its origins in American military interventionism in the Middle East, and the blind spot in neoliberal democratic capitalism that it cannily exploits in its niche appeal within dissatisfied conservative currents of Islam. But the Paris attacks, or rather the reaction to them in Western democracies and especially in the United States, has exposed a much more unsettling undercurrent in those societies. Combined with the implacable, fanatical hostility of ISIS and its adherents to the West and to ordinary Muslims in its sphere of influence alike, the twisted popular outburst of deeply undemocratic, uncompassionate illberalism among its supposed most ardent defenders makes it very difficult to find anything resembling a silver living to draw from this murderous terror. How has the West reacted to the events in France? On a lightly unproductive but essentially benign level, social media has seen a deluge of soft-focus tributes to victims, solidarity memes almost invariably involving the Eiffel Tower or the French tricolore, and occasional dubious shared rememberances. On a deeply unproductive and fundamentally malign level, the popular grief and outrage of this latest mass media terrorist act has crystallized into a disturbing but increasingly common strain of nativist xenophobia against Muslims in general and against Syrian refugees in particular. Europe has been reeling for much of the year from the influx of displaced Syrians fleeing the protracted civil war in their native country as well as the ISIS-controlled territory that has been carved out of the conflict’s chaos. Now, with hundreds of thousands of Syrians seeking asylum or resettlement in the safe harbours of Europe and, more recently, North America, the Paris attacks are being employed dangerously and disingenuously by (mostly right-wing) political leaders as a cudgel to buttress the blocking of Syrian refugees from their specific precincts. This has become a particularly common in America, where a conservative movement of gradually ramping-up extremism has been stampeding headlong towards fascist policies against undesirables, foreign and domestic, for years. Despite the President’s sole control over larger refugee policy in the U.S., Republican governors from the American South and elsewhere are issuing statements of maximal NIMBYism, Republicans in Congress are introducing bills to halt funding of refugee programs, and some have gone even further. The mayor of Roanoke, Virgnia argued that Syrian refugees should be kept out of his city by reminiscing favourably about WWII Japanese-American internment policies, while leading Republican presidential hopeful Donald Trump (whose increasingly realistic shot at the nomination is grounded in a muscular nativism) spoke (only partly hypothetically) about registering American Muslims in a national database and issuing them ID cards (emblazoning their clothing with crescent moon badges was not discussed, but must be the next logical step). As it often has in the wake of radical Islamist terror attacks (although not in the wake of increasingly prevalent domestic terrorism), America, especially in its more conservative circles, has freaked the heck out and aggressively blamed the visible internal other most stereotypically associated with the isolated, desperate jihad of a nasty splinter group of a worldwide faith of over a billion souls. The particular focus of fear-culture ire on transparently helpless, stateless Syrian refugees as a sort of Trojan horse that will be employed to smuggle ISIS suicide bombers into mid-sized Virginia cities might seem a bit heartless and extreme even for the American Right. It might also seem counterintuitive on a few levels. First, Syrian refugees are fleeing from ISIS, not harbouring them; the two groups have a deep enmity forged in the crucible of conflict and displacement and very little overlap has been proven. Second, the deluded belief that the Paris terrorists were Syrian refugees was swiftly revealed by French investigators to be a purposeful propaganda plot by the perpetrators to sow discriminatory sentiment among European and North American populations, and the Syrian passports found among the effects and remains of the shooters and bombers were found to be fakes. Third and most vitally, the openness and liberality of the capitalist democratic West is exemplified by its willingness to accept refugees from conflict situations across the globe and not to exclude and discriminate against them on the basis of ethnic, cultural, or religious difference. To discard this openness in the name of an insecure sense of security is to be duped by fear of ISIS-inspired terror into accomplishing their stated goal of extreme polarization of the secular West and the Muslim world for them. Like many on the Left, I may reserve pointed criticisms for the arrogant consumption, historical entitlement, cultural parochialism, and exploitations of power of Western capitalist democracy. But in its fundamentals and despites its structural biases and weaknesses, it remains a serious improvement on every social and political structure that has preceded it. And its best instincts are embodied in its ability and desire to welcome migrants of all stripes into its big social tent (even if it might harass and marginalized them and rob them blind once they settle in there). This tendency towards tolerance is most strongly demonstrated in the current moment by wounded France itself in the wake of its largest domestic attack since WWII. Left-wing President Francois Hollande has, yes, expanded police powers and suspended many civil liberties as well as stepped up France’s military operations in the Syrian theatre where an increasingly besieged ISIS still holds sway. But he has simultaneously brushed aside the xenophobic mistrust of Syrian refugees, committing to accepting tens of thousands into his country’s borders over the next few years. It is more in the latter policy and practice that the precarious democratic order of our contemporary world will be preserved against the threat of an ISIS. These fanatic splitters cannot boast enough martial strength threaten the democratic order with conquest, but they can frighten it into making enough mistakes and discarding enough of its high-flown principles to destabilize it. Embracing some of the most morally robust and socially powerful of those principles instead of shaving them away at the merest hint of pain will give that order a big leg up in the war of ideas which, above all, must be won to thwart the fanatical, theocratic fringe of international Islam. Toa Fraser’s Maori-language action-adventure quest film is immediately arresting from its first shot, even if it does not ever quite deliver on this initial aesthetic promise. The serene beauty of a slow tracking shot of a lush primeval forest with its large-rooted trees, tall grass, and distant mist is subtly disrupted when, far in the deep-focus background, two human figures flit quickly through the gaps in the field of vision between the trees. This fleeting glimpse of motion develops into a frenetic, aggressive chase and confrontation between two Maori warriors that frames the remainder of The Dead Lands but also emphasizes a certain repetitiousness and rote thematic element in the film. Following the dynamite opening sequence, The Dead Lands settles on its narrative. In pre-European contact New Zealand, the village and lands of Chief Tane (George Henare) are visited by the scion of a rival tribe, Wirepa (Te Kohe Tuhaka), and his warrior cohort. Wirepa’s ostensible object is to visit the gravesite shrine of his honoured ancestors, but his true design is to accuse the chief’s teenaged son Hongi (James Rolleston) of desecrating those remains as a pretext for war between their tribes. Wirepa and his goons don’t even wait for their plan to bear political fruit before ambushing Tane’s village and massacring its inhabitants, venerable chief included. Hongi escapes this atrocity, however, and assumes his father’s mantle and staff-like weapon, vowing revenge against the old man’s killers. He tracks Wirepa’s troop into a forbidden territory called the Dead Lands, supposedly haunted by a vicious cannibalistic monster who kills anyone who trespasses into his realm. This monster is a nameless warrior (Lawrence Makoare) cut off from Maori society as well as the honour conferred upon him by a connection to his own ancestors. He’s already appeared, hunting down an intruder in the aforementioned opening scene and terminating him with extreme prejudice. Hongi convinces the Warrior not to have him as his next meal and to instead aid him in his quest to defeat the arrogant Wirepa, who has offended them both by differing degrees. The Dead Lands settles into questly pursuit tropes fairly quickly like an antipodean Apocalypto, coloured by the Warrior instructing Hongi in fighting techniques and Hongi carrying on mystical summits with his dead grandmother (Rena Owen). The unlikely allies pursue their enemies through magnificently shot New Zealand landscapes (if you thought that there weren’t many spectacular vistas in the small island nation left to showcase after Peter Jackson’s Middle Earth films, which featured Makoare, Fraser is glad to prove you wrong), an epic chase punctuated by adrenalized showpieces of furiously staged, culturally-specified hand-to-hand combat. These scenes are built up as the film’s highlights and generally are, even if the most visually interesting of them (a battle at dusk in a jungle stream between the Warrior and a young woman who recognizes his tribal markings) is a bit of a story detour meant mainly to motivate the Warrior to reveal his dark history. Fraser and screenwriter Glenn Standring focus on Maori warrior culture almost to the exclusion of other elements of Maori identity. 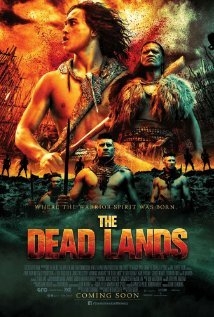 The Dead Lands doesn’t entirely reduce Maori culture to a series of hyper-masculinized fight scenes; Maori religion, art, dress, and habitations are all reproduced with what I’m sure is reasonable accuracy, to say nothing of the consonant-heavy aural effect of the Maori language which all of the characters speak exclusively. Even the inconsistently applied but culturally accepted practice of cooking and consuming one’s enemies after defeating them is treated in a matter-of-fact fashion; barbaric as this seems to modern sensibilities, it is unquestionably a part of Maori tradition. But The Dead Lands is about armed men fighting and killing each other, and as central as this core practice and the particularities surrounding it are to Maori traditions, it is not a subject imbued with either breadth nor depth, at least in its treatment by Standring and Fraser. To their credit, the filmmakers question the inherent glory of killing another person, first through the Warrior’s wounded cynicism and then through the pragmatic wisdom that Hongi achieves with regards to his adversary. These choices mediate and even counteract the predominant martial affect of the film. Not enough to destabilize its thematic implications or its effective thrust of manly contention, but just enough to signal the audience that they realize the limitations of such an aggressive, action-centric worldview. The Dead Lands is, almost without question, the most excitingly-pitched and popularly accessible fictionalized depiction of classical pre-contact Maori civilization yet committed to celluloid. The hope must be, however, that it will primarily serve to open the creative door to richer and more diverse such depictions. The 2016 United States presidential election is almost exactly one year away. As putative Democratic Party frontrunner Hillary Clinton contends with socialist upstart Sen. Bernie Sanders for the nomination on the left side of the spectrum, the picture on the right is far more muddled. After two consecutive general election defeats and seven years out of the Oval Office, the Republican Party faces a chaotic, dissatisfied primary campaign to select a candidate to lead its long-anticipated battle of prophesied Armageddon against the Great Enemy herself. As typifies the American right-wing movement in the Age of Obama, the GOP is consumed by a low-simmering civil war between the capitalist-controlled, corporate-integrated party elite and a zealous activist base hardened in its apocalyptic vision of a threatened Real Murica deep in an existential conflict with the forces of tolerant, urban, diverse, easy-spending, godless liberalism. Too consumed, one might note, to focus effectively on who among their rogue’s gallery of potential nominees stands the best chance to prevent Hillary Clinton’s ascension to the White House in November 2016. With its gerrymandered control of the House of Representatives, state houses, and county and local politics, the GOP should be in prime position to mount an aggressive and effective campaign for the nation’s top office. That enthusiastic base, regularly worked up to a furious froth over taxation, immigration, diversity, gay marriage, abortion, climate change, evolution, photosynthesis, the laws of thermodynamics, and any other idea not devolved upon them by Glenn Beck, evangelical preachers, or Citizens United-empowered puppet-master business leaders, has been a great strength to the party in these localized skirmishes and ought to provide ready boots on the ground for larger triumphs. Instead, as Andrew O’Hehir has discussed with subjective, Hunter Thompson-esque eloquence and penetration at Salon, the Frankenstein’s monster of faux-populist, nihilistic extremism that the conservative establishment brought to life as a simulacrum of grassroots opposition to the pax Obamaum (once and therefore forever dubbed the Tea Party) has, like the model in gothic literature, passed beyond its control. The parasite is in great danger of taking of the host, and the consequences for America (where, sooner or later, each of its opposing political machines holds the reins of power) are unforeseen. The more proximal consequences of this rampaging beast are facing the Republican Party at the moment. The plethora of famous pols with outsized personalities running with single-digit support in the primary polls (belligerent Sopranos guest-star Chris Christie here, quasi-folksy raving theocratic lunatic Mike Huckabee there, compromised libertarian Golden Twerp Rand Paul lingering sadly by the refreshments) has confused a nomination race picture that has been surprisingly but disturbingly stable for months. Corporate mogul blow-up doll Donald Trump, once considered a mere flash in the pan whose appeal would flame out almost as quickly as his own interest in the serious practice of political campaigning would fade away, has remained in a leading position in the polls for much of the year. Trump’s consistent support, couched in antagonistic trolling skills, brazen outspoken bravado, virulently bigoted nativism, and an unorthodox set of policies that are sometimes at direct odds with GOP cant, has found a solid core of support among the zombie hordes of the right wing and has confounded the frustrated efforts of more traditionally acceptable candidates like Jeb Bush and Marco Rubio to activate the hair-trigger on his self-destruct sequence. But the more stunning rise in fortunes has belonged to a Republican candidate who seemed like a laughable afterthought earlier in the campaign. Dr. Ben Carson, a retired African-American neurosurgeon with strongly fundamentalist Christian beliefs (he’s a Seventh-Day Adventist, a little-understood Evangelical Protestant offshoot), has seen a gradual but definite increase in polling support that has seen him emerge as the main challenger to Trump, at least so far. To some extent, this is not unsurprising. Carson, who worked himself up from poverty in Detroit’s ghettos to become a world-class brain surgeon (documented in a television movie in which Cuba Gooding, Jr. played Carson), can boast a compelling life narrative that certainly tops any of the more conventional privileged histories of his opponents. It’s hard to overlook his ethnicity in reference to the appeal of this narrative, too. One must not underestimated the appeal of such a story of overcoming difficult circumstances, and its attribution by Carson to chest-beating conservative values like work ethic, personal responsibility and religious faith, to the fanatical popular right as a funhouse-mirror inverted-racist contrast to the completely fabricated but firmly believed net of conspiracy theories about Barack Obama’s amazing path to the White House. More than that, Ben Carson’s biography is an anecdotal hammer with which to shatter the cherished liberal glass figurine of structural discrimination of African-Americans. Very few elements of the progressive belief-system set conservatives’ teeth on edge quite like this evocation of concerted, long-term institutional and socially-supported racism against black Americans that frequently finds recourse to violent enforcement. Carson is a case study that, for conservative critics of sociological analysis, seems to put the lie to the idea that the structural obstacles arrayed between African-Americans and financially-comfortable respectability are practically insurmountable (although an observer of a differing ideological bent might point to the government assistance received by his single mother as an argument for active and compassionate social policy to counteract those historical and contemporary obstacles). Laying this aside, what has been most unconventional about Carson’s rise is that it has coincided with any number of increasingly extreme, outlandishly ignorant and often bizarre public statements on his part. Despite having been a top medical professional, Carson parrots the American right’s ignorant distrust of science, going so far as to state that Charles Darwin’s theory of evolution was inspired by Satan. He often defaults to hyperbolic comparisons of despised political issues, from abortion to gun control to government-funded healthcare, to slavery or Nazism. Most recently, Carson sent a tremor through the internet when his belief that the Pyramids of Giza were constructed not as tombs for the pharaohs but by Hebrew slaves as granaries, a common-enough belief on the Christian right (and in medieval Christianity before that) but suffused with supreme nuttiness to the layman. In the strange and unprecedented reality of the Republican Party of 2015, however, the more fantastical and unsupportable Carson’s stated views become, the more it endears him to the potential voters of the American right. Debunkers of the Pyramids-as-granaries theory, quibblers with the Nazi comparisons and wild speculations that an armed German populace could have stopped the Holocaust, and journalists casting doubt on some less-convincing details of Carson’s life story miss the nearly-unbelievable point of it all. Pointing out that a story is not true will do little to change the hearts and minds of people whose most deeply-held beliefs are stories that are not true. Espousing beliefs that flagrantly contradict conventional wisdom, established knowledge, and basic rational sense greatly recommends a candidate to the loyalists of the American right, that furious alliance of bigoted nativists, libertarian anti-taxation dead-enders, and fundamentalist, pro-life young-earth creationists. After all, that supposed wisdom, knowledge, and reason has, in the view of the radical right which is now the mainstream right, almost irreversibly crippled America to the extent that only an aggressive enema of closed borders, flat taxes, and vigilante justice at home and abroad can save the patient. And who among the candidates is most qualified to administer such treatment? Why, Dr. Ben Carson, of course. Ben Carson, more than the self-aggrandizing charlatan Donald Trump or even than true Tea Party warrior Ted Cruz (whose campaign has been too milquetoast by half to shear off the important nutcase vote now needed to win the nomination), is willing and able to represent the dark-hued fantasy world of the American right of the moment. This is a nomination campaign that has applied a New York Times Magazine Twitter poll concerning a classic time-travel conundrum about choosing whether or not to kill Adolf Hitler as a baby as a sort of litmus test for moral certainty and leadership. Jeb Bush (challenging his purported status as the brighter Bush son more and more by the day) would like the world to know that he would definitely commit time-travelling infanticide, thank you very much. If Ben Carson’s position on the hypothetical matter remains unrevealed, then that might be because it could not possibly be in much doubt. Such speculative fantasies are not mere sidelines in the Republican presidential campaign but redolent of its dominant currents. After decades of conservative criticism of the left’s relativism eroding social connections to hard-nosed American reality, the GOP has become the party of horror-movie fantasies and paranoid nightmares. And it may be that Ben Carson embodies that new normal on the American right more than anyone else who wants to be President in 2016. Mormonism is frequently called the American religion, founded as it was within the geographical and historical bounds of the United States, playing an important role in the country’s epic narrative of westward expansion, and reflecting vital, stereotypically conservative American values of self-reliance, independence, tightly-knit community, and both an embrace and a distrust of modernity and progress. But the LDS Church is also typified by more ambivalent American characteristics too: greed and capitalist consolidation, racial, sexual, and minority discrimination, and the exploitation of the credulity of the masses by a shady and manipulative elite. Some of these characteristics have persisted into our age, but they perhaps define America in the 19th Century, when Mormonism was founded, even more. As Mormonism was to 19th-century America, Scientology is to 20th-century and early 21st-century America. The defining essentials of the last six decades of American life are encoded in the DNA of the Church of Scientology: self-help mania, outlandish but unwaveringly certain monetized faith, saturating Hollywood glitz, institutional corruption, aggressive litigiousness and public pressure, the continuity of male privilege, capitalist predation, corporations reaping massive profits while evading taxation and legal consequences for their misdeeds, and an insistent drumbeat of creeping authoritarianism. But in Scientology, these American obsessions, anxieties, and foibles (not always inherently sinister in isolation) are heated together to a rolling boiling point. Scientology is symptomatic of American overreach whipped up to a fever pitch, its power and madness exploding into baroque grandiosity. The particulars of its practices, tenets and methods of control and abuse ought be wholly inconceivable, but in the contemporary United States, they are just believable. Based on Lawrence Wright’s eye-opening book of the same name delving deep into the strange and alarming world of the Church of Scientology, prolific documentarian Alex Gibney’s Going Clear: Scientology and the Prison of Belief chronicles the bizarre origins, fitful rise, and insidious operations of the world’s most successful pyramid-scheme spiritual cult. A two-hour documentary film must necessarily elide some details, and the surest loser in this process is the eccentric, mind-boggling life of Scientology’s deified founder, L. Ron Hubbard. A hack science-fiction writer, U.S. Navy veteran, self-styled explorer, inventor, and philosopher, and all-around larger-than-life nutbar, Hubbard built the Church of Scientology on the basis of his popular 1952 self-improvement book Dianetics. Dubbed, among other things, “a lunatic revision of Freudian psychology”, Dianetics spun off into touring seminars conducted by Hubbard which carried the whiff of charlatanesque revival-tent preaching and eventually into a desultory sea voyage with a cadre of true believers who later formed the core of the SeaOrg, later the elite operatives of the Church of Scientology. Hubbard was banned from various nations, denounced as a madman and a criminal and charged with fraud, his self-aggrandizing life story challenged and debunked at various turns. Scientology took on his instability and domineering nature, especially under his successor as the organization’s dictator, the imperially-minded David Miscavige, whose grandest triumph – the Church’s success in obtaining tax-exempt status from a harrassed IRS – was celebrated with a spectacular event straight out of Nero’s Rome or Riefenstahl’s Nuremberg. It also gained some prominent members and promoters among Hollywood’s glitterati, including Oscar-winning screenwriter and director Paul Haggis, screen icon of the ’70s and ’90s John Travolta, and most famously megastar Tom Cruise. Through intensive interviews, some with outside observers but many more with the growing legion of major apostates who have broken with the church in recent years, Gibney plumbs the dark depths of Scientology. It’s true, he raises a sceptical eyebrow or two about the legendary, pulpy “space opera” mythology underlying Scientological belief (galactic overlords, space planes, genocidal volcano nuclear bombings, Thetans, all that jazz) and the quasi-scientific mumbo-jumbo revolving around the important practice of auditing (basically confessional talking therapy, only while holding electrical cans connected to a mysterious “e-meter”). Scientology is plenty weird, but as religions go, it hardly holds a monopoly on bizarre beliefs, doctrines or practices. But Gibney is much more interested in and adept at ferreting out the abuses and corruption of unbeholden and secretive institutions. The Church of Scientology is an almost cartoonishly nasty hothouse for outrageous misconduct, if the accounts of former members can be believed (and the furious, threatening PR arm of the Church will aggressively contend that they cannot be). Their lionized palace guard, the SeaOrg, are paid so little and subjected to such menial and overwhelming labour that their plight could be characterized without hyperbole as slavery. Lavish luxuries and services are provided for star spokesman Cruise and his bosom buddy Chairman Miscavige, mostly by the indentured SeaOrg servants. Members both fiercely loyal and potentially disloyal are subjected to squalid living conditions and sustained psychological and even physical abuse by Church authorities for the murkiest of reasons. Doubting Thomases (and especially those who become fugitives from the regime) are threatened with blackmail on the basis of the voluminous information culled from their auditing sessions (which they are told are confidential but are nothing like it, when it comes down to it). Public harrassment tactics and crushing lawsuits await former members who defy the Church, citizens who criticize it publically, and authorities who dare to attempt to crack down on it. Whatever one might say about the flaws and excesses of Mormonism, it remains an undeniable religion. Joseph Smith was a huckster con artist whose shamelessness was matched only by his personal magnetism, but his heirs laboured hard over a century and a half to legitimize his conniving scam of a religion and integrate a toned-down version of it into the conventional mainstream of American life. Scientology can only barely be bothered to maintain the merest veneer of a religious institution as cover for the acquisitive oppression inflicted upon its members by the Church elite. Scientology was a relatively transparent and intermittently openly cynical mechanism for Hubbard to make money off of suckers, and others have inherited his position as beneficiary of copious member fees and donations without reforming the Church’s operations in the direction of general, socially-acceptable benevolence. Scientology as it emerges in Going Clear is a manifestation of some of the darkest spaces of the American id, and there’s little in this fascinating but troubling film to suggest that it will ever be anything more.